RAPID CITY, S.D.-- The organization College Factual ranks South Dakota School of Mines & Technology as the best engineering school for the money out of 302 engineering schools in the United States. The university's affordable tuition alongside the high earning value of graduate places Mines above other engineering schools when it comes to return on investment. The SD Mines placement rate for recent graduates is 97%, with an average starting salary of more than $61,300. Unlike some other high-value universities, admission to SD Mines in not overly competitive. Most applicants who meet the minimum requirements are accepted. Admission is given to more than 80 percent of all applicants and the uinversity offers an array of scholarships and financial aid. "SD Mines welcomes people from all walks of life. Anyone who is qualified and willing to put in the work needed to succeed in science and engineering disciplines deserves admission to our university," says Mines President Jim Rankin. SD Mines also did well in the overall value category- which includes both engineering and non-engineering schools. The university is ranked 26 out of 1,510 colleges nationwide in the best value ranking overall. 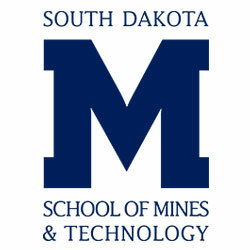 This places SD Mines in the top 5 percent nationally of all colleges for value.